Andrea Brueckner has quickly made a name for herself in the fashion world. This of course, is no surprise to those of you who are already familiar with Brueckner’s stunning and impeccably designed handbag collections. With Hollywood A-listers such as Beyonce, Lindsay Lohan and Jessica Alba toting her designs, Brueckner quickly had the rest of us lusting after her bags as well. For this Holiday season, it’s not much different — Brueckner does what she does best — creates incredibly beautiful handbags that are bound to make us go gaga all over again. Brueckner’s designs, as always depict incredible detailing and construction, something that is reminiscent from her days of working with menswear tailor Craig Robinson. Brueckner also uses the tailoring, form and pattern making skills she garnered at the Fashion Institute of Technology most extensively to date, in this particular collection. The Aspen Lock Laser Cut Black and Gold Day to Evening bags are not just swoon worthy but also highlight her incredible talent and versatility as a designer. 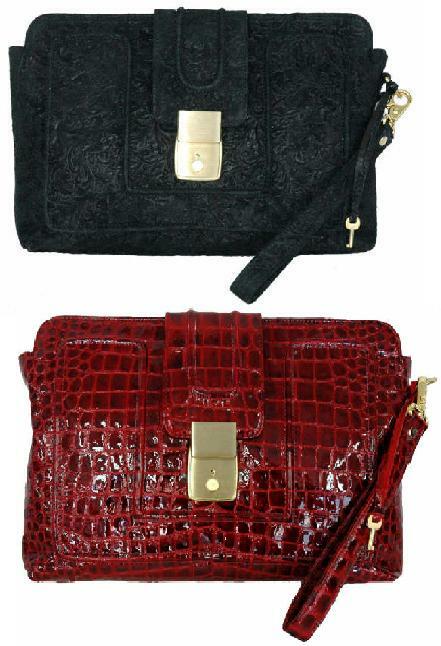 The Aspen Lock Attache Embossed Croc Clutch in red and black are my other favorites in this line. Trendy yet classic, they are ideal clutches to accompany us on a night out. With the practical individual in mind, Brueckner also includes the popular Cardiff Satchel, this time in python to the Holiday collection. Whether you are going to the gym or away on vacation, the Cardiff Satchel makes a convenient and stylish choice for an everyday bag. Brueckner is such an exciting designer — she always has a surprise or two up her sleeve and every season manages to incorporate her innovating vision to suit the style of every bagista in town. To get additional information on the Holiday 2008 collection and to shop Brueckner’s Summer and Fall lines please visit her website. 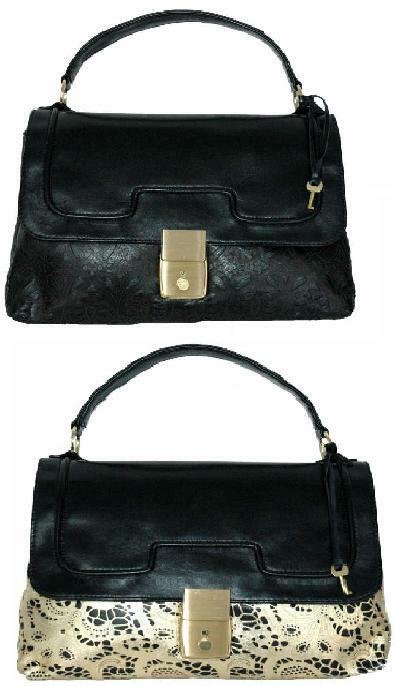 This entry was posted in Style Spotlights and tagged Andrea Brueckner, Andrea Brueckner Holiday 2008 Collection, Aspen Lock clutch, Aspen Lock Day to Evening bags, bags, beyonce, Cardiff Satchel, Fashion, handbags, jessica alba, Lindsay Lohan, Shopping, Style. Bookmark the permalink.